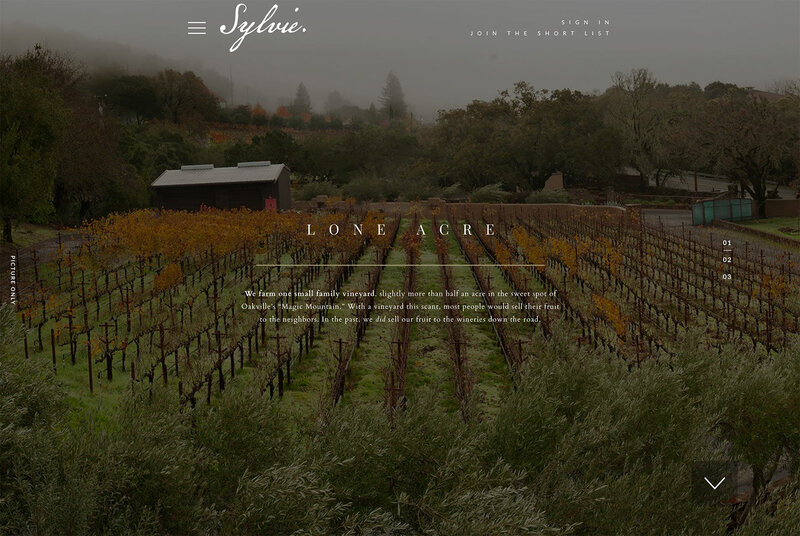 Sylvie Estate produces premium Cabernet from a small vineyard in Oakville. 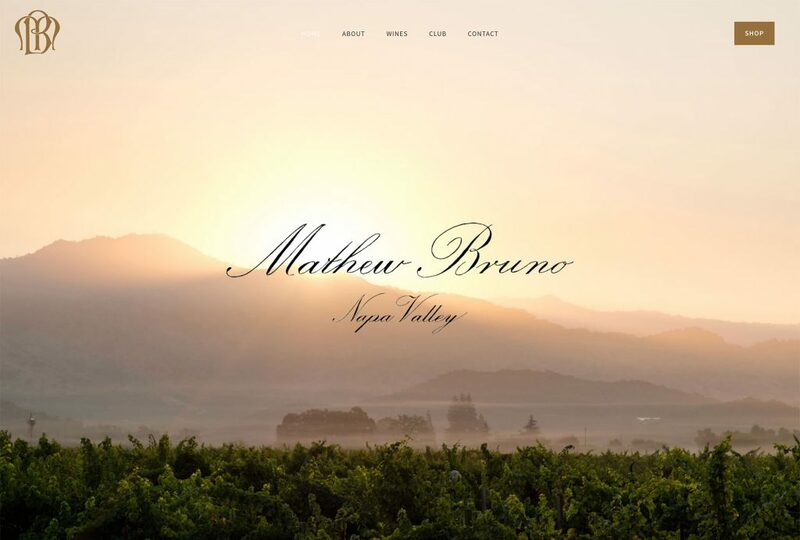 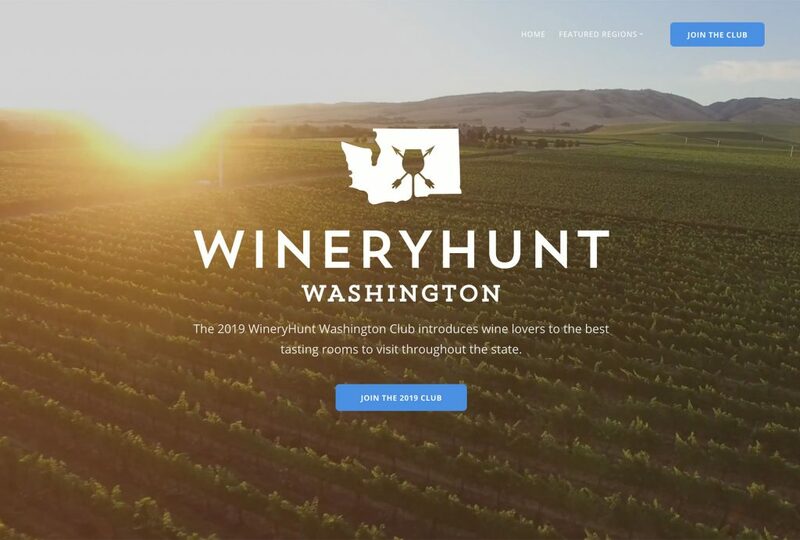 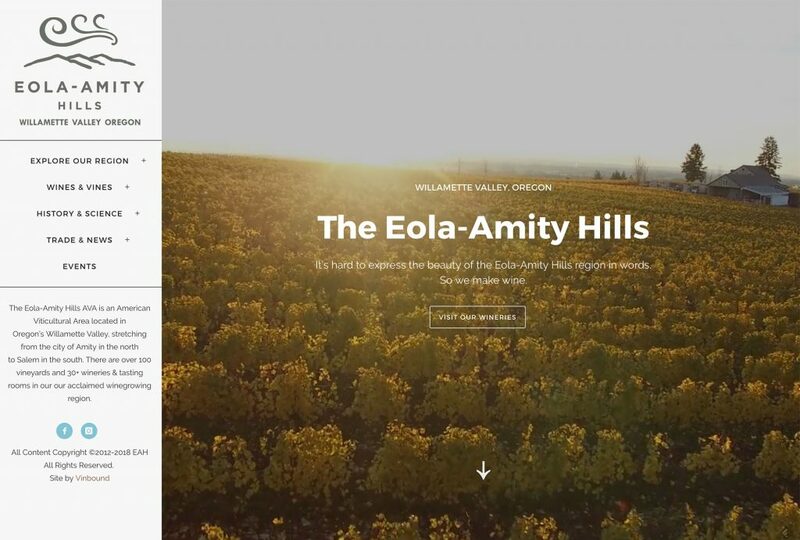 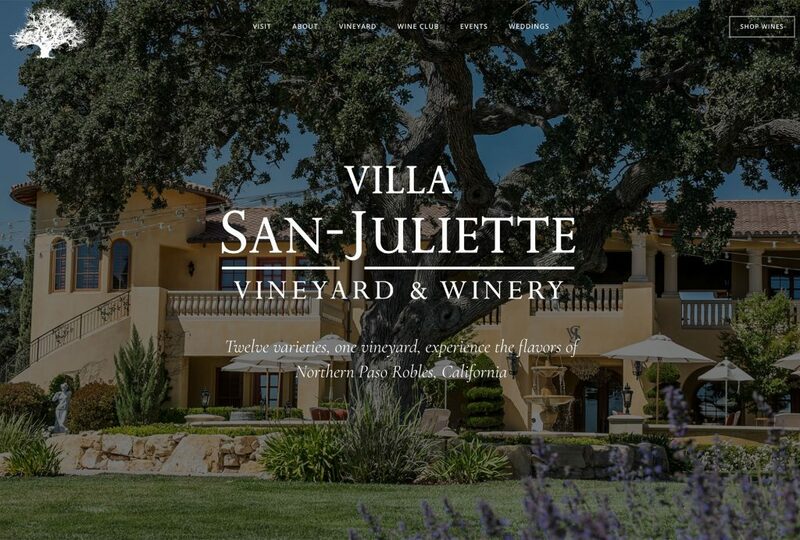 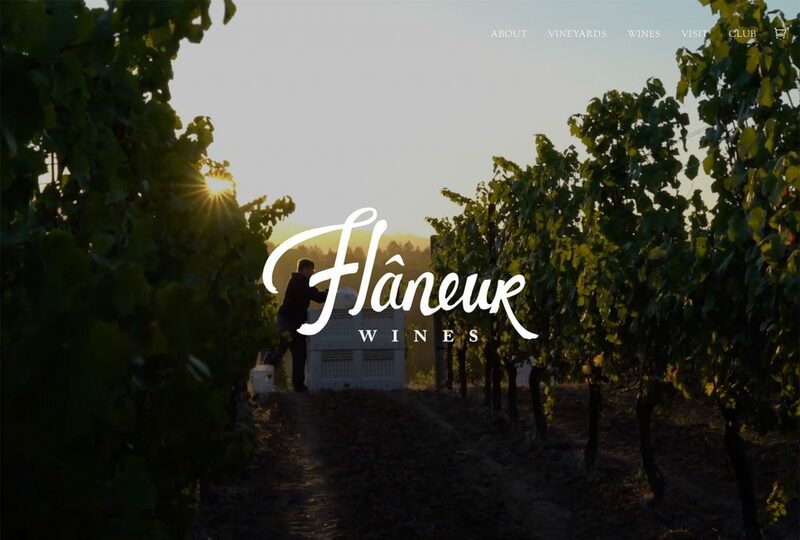 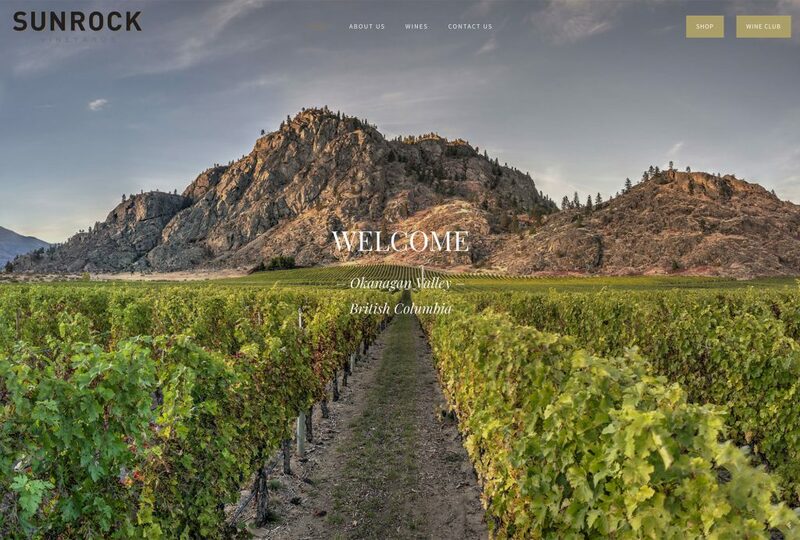 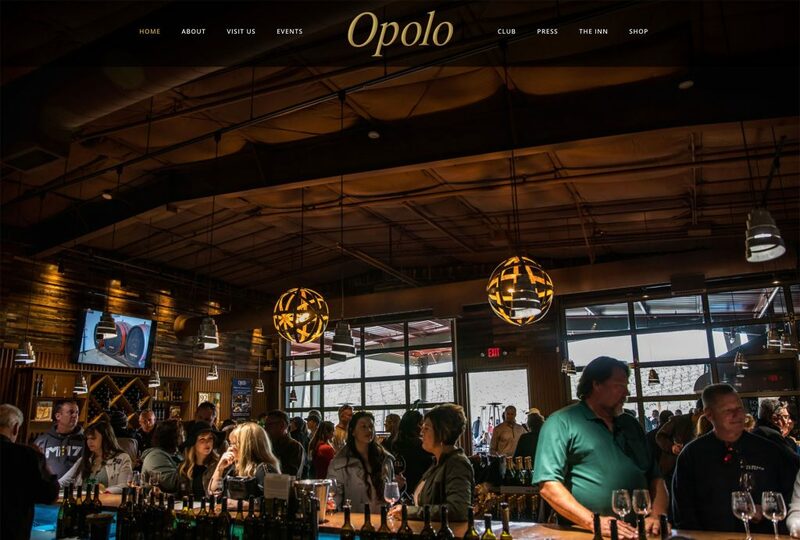 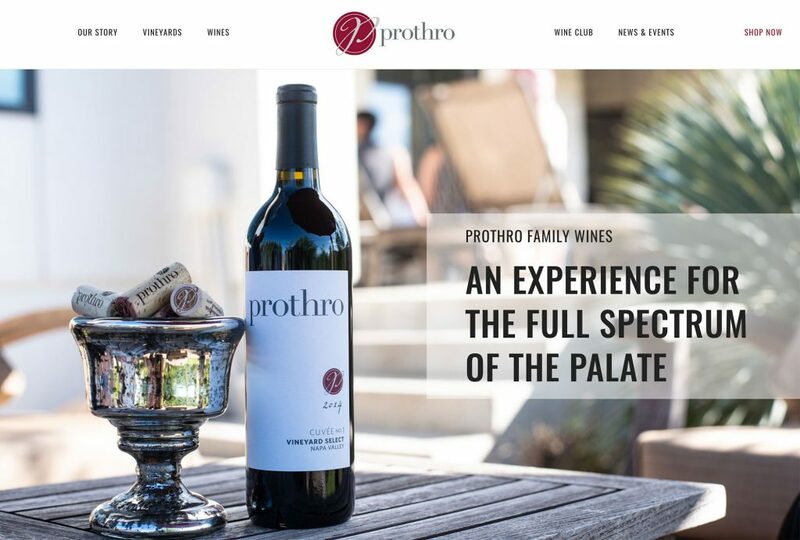 The wines are very small-production and highly sought after, which requires the website to have an allocation system for consumers to join a list and access wines as allowed. 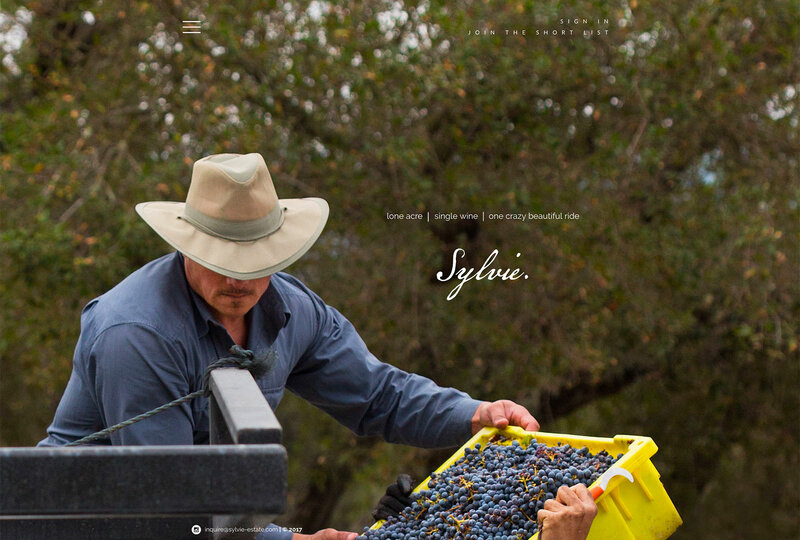 The overall site is minimalistic in nature with full-screen photography throughout. 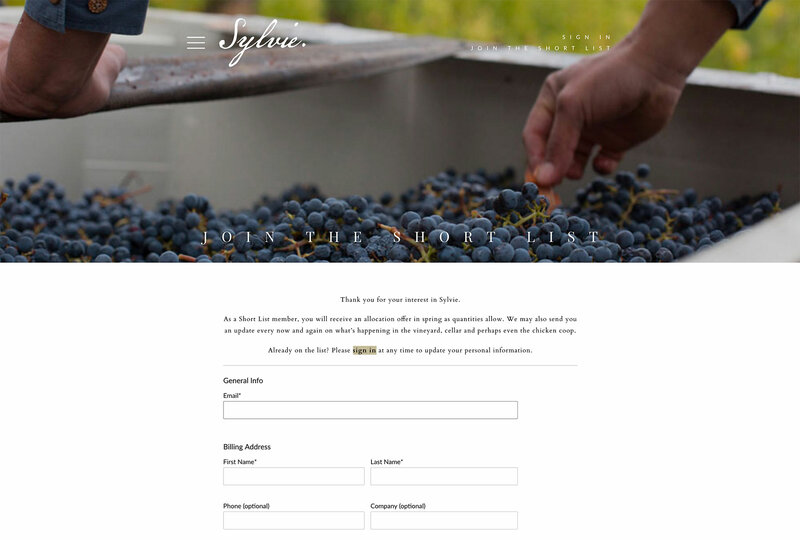 This website is built on WordPress, which allows for the custom page transitions and integration of VineSpring.